Sabrina Szeto is a Land Conservation Intern at Centre ValBio, a state-of-the-art research center in Ranomofana National Park in Madagascar. This internship is part of her Master of Environmental Management program at the Yale School of Forestry and Environmental Studies, where she is in the class of 2016. One of the first words I learned from a friend who learned that I was about to visit her home country, Madagascar. It is a greeting that I’ve used over and over again. My name is Sabrina Szeto. 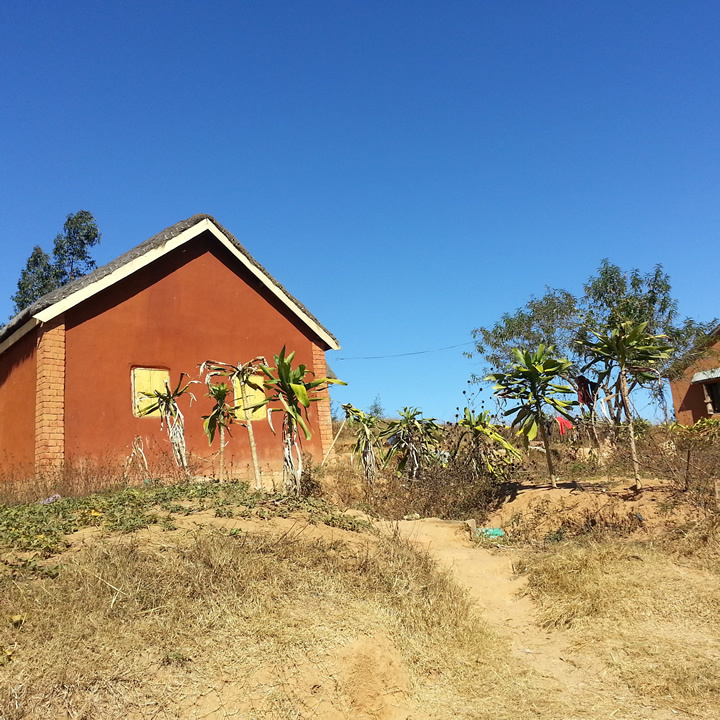 This is my first time in Madagascar, and I am here for a summer internship at Centre ValBio, a conservation organization and research station located in Ranomafana, Fianarantsoa. Over the next few weeks, I will be writing several blogs about my experiences and reflections here, working on mapping, geospatial analysis and land conservation. Just outside Tana on my trip to Centre ValBio. Photo by Sabrina Szeto. I arrived in Tana late at night, crowding into the airport with tourists and Malagasy families returning home from Paris. I was fortunate enough to have a classmate whose cousin lived in Tana, and her family picked me up at the airport to spend the night at their home. The next morning, I embarked on a ten hour car ride to Ranomafana National Park. The weather was cool and dry as it was the dry season. The journey to the station took me through the busy streets of Tana, with market stands and restaurants serving foie gras lining the way. I fell asleep and woke up in the outskirts of the city. As we continued towards the south, we passed rice fields, bare hillsides and smouldering fires from the brush fires that were used to clear the land. I was struck by the colors of the soil: pinks, reds and whites that changed as the journey continued, reflecting the iron and other minerals in them. 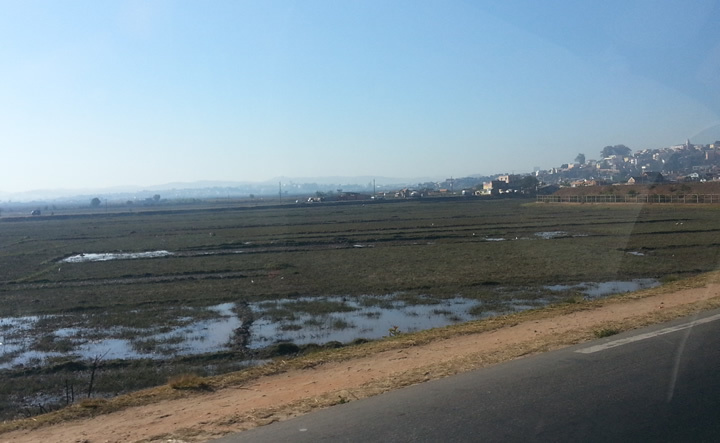 I was amazed that people grew rice and made bricks on adjacent plots of land. I saw villagers carry bundles of firewood down a steep hillside, herders with zebu grazing beside the road, piles of fine clay and silt being sold beside the road. The first village we stopped at en route to Centre Val Bio. Photo by Sabrina Szeto. We passed through villages famous for fine cement figurines, wood carving and areas where rock quarrying was a way of life. The people who reside in these areas depended on the land for a living. Natural resource management was something they practiced on a daily basis, with real consequences. As we passed through Fianarantsoa, the sun began to set and we had just gone over a ridge. The sky was a deep orange and the trees were turning into black shadows. High school students in uniform were walking home with their books, laughing and talking with each other in the fading light. Our driver honked at them so they would be careful about the vehicle’s approach. 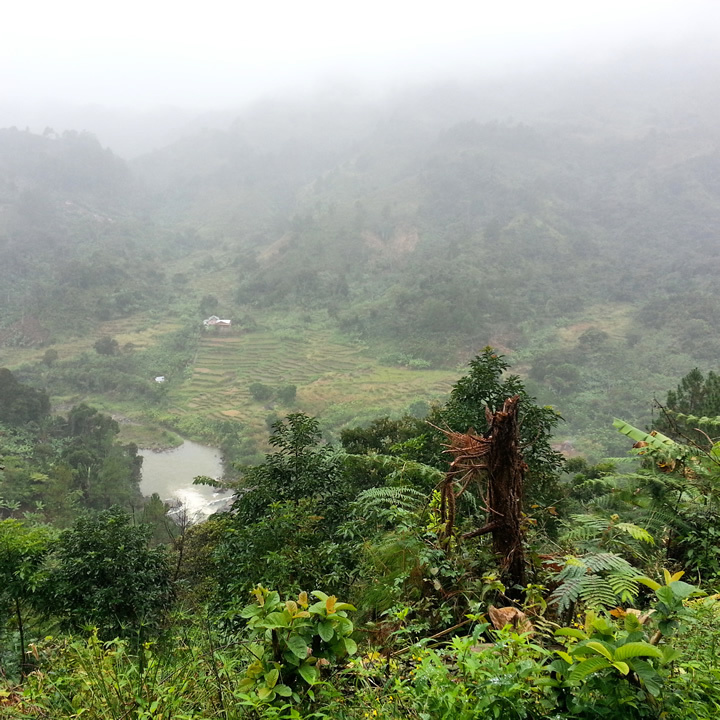 View of the valley in the mist at Ranomafana. Photo by Sabrina Szeto. The paved roads were excellent all the way until about 20 kilometers from the field station, after which we had to carefully navigate large potholes all the way to Ranomafana, where Centre ValBio is located. We finally arrived after dark, to the hustle and bustle of a special dinner with important visitors from an embassy. I could hear the rush of water from a river – one that I would only see when the sun rose the following day. Another journey was just beginning. 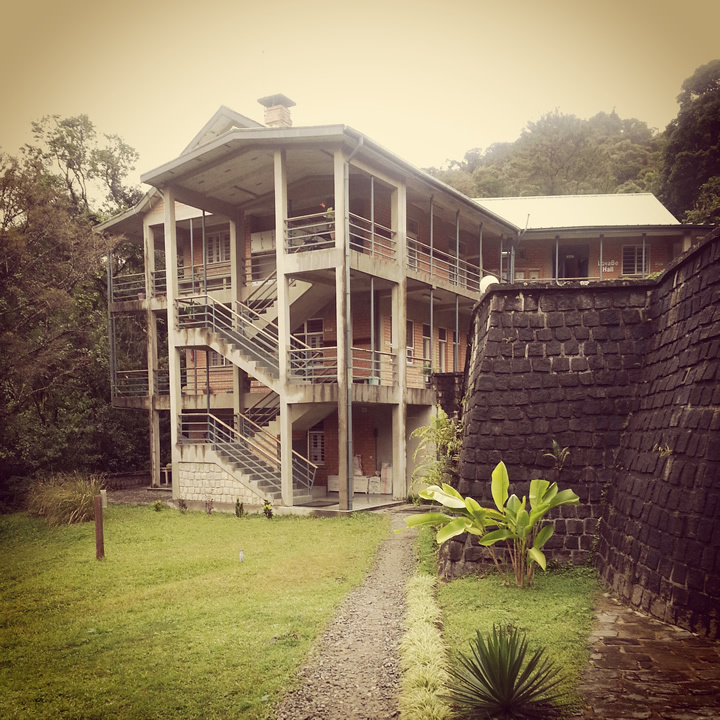 Centre ValBio, a state-of-the-art research station at the edge of the rainforest in Ranomafana. Photo by Sabrina Szeto.